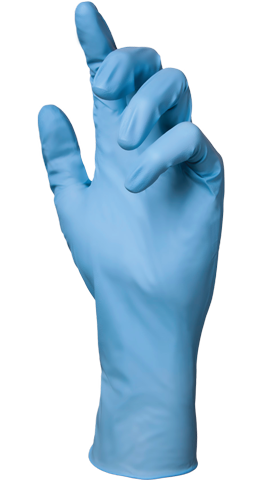 Glove Plus Tuffies Nitrile examination gloves offer a high quality, durable barrier protection against a wide range of general chemicals glove users come into contact with on a regular basis. 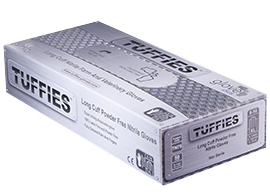 The extra length and thickness of Glove Plus Tuffies offers greater protection. Textured palm and fingers provides greater sensitivity and precision grip for the glove user. Further Certification: Manufactured in compliance with EU PPE Class III, ISO 16604b:2003 Viral Test Passed, EN420 Dexterity Test Passed Level 5. Not the Glove for you?